Houston comes alive at night, with dives, cocktail bars, and nightclubs dotting the city. 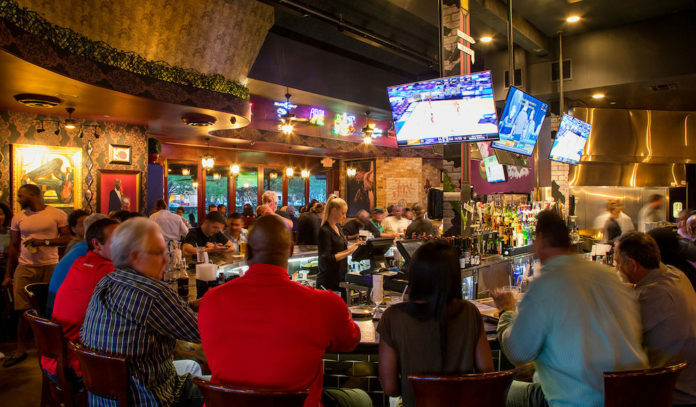 In our Houston Nightlife: Best Bars series, we’ll cover the best watering holes for night owls in neighborhoods and communities around Greater Houston. Lying 20 miles southwest of Downtown, this family-friendly suburb is one of the most affluent and rapidly growing cities in the state. As such, there is plenty to do, including a pretty happening bar and nightlife scene. Note: For the purposes of this list, Sugar Land is defined by the area covered in this map. Big Ben Tavern – This neighborhood hangout offers a laidback vibe alongside 30 craft taps, 25 screens for sports fans, and globally-inspired gastropub fare. Dig into housemade Dorito nachos, curry fries, gyro platters, and big ol’ burgers, as you quench your thirst with hoppy IPAs, creamy stouts, and crisp blonde ales; and look out for events from a yearly Beer Carnival to yappy hours and sunset Saturdays. Click here for directions. Flying Saucer Draught Emporium – Beer geeks and anyone looking to have a good time can head to this craft beer haven. Guests can join the U.F.O. club and make their way through a list of 200 beers to earn a plate on the wall, or casually pop in to sip craft brews from around the world and dig into hot wings, nachos, burgers, and bar pies with friends. Don’t miss its calendar of weekly events, from happy hours and trivia nights to brewery takeovers. Click here for directions. The Sugar Refinery – Get grub and grogs at this spirited cocktail bar and kitchen. Boozy drinks run the gamut from Pimm’s Cups and Palomas to Cuba libras; while eats come in the form of jalapeño-stuffed arancini, tamarind-glazed pork ribs, and fish & chips. Look out for seasonal cocktails and fun events like cocktail seminars. Click here for directions. Vino & Vinyl – Enjoy a tasteful night of wine and good times at this wine bar, lounge and record shop. Click here for directions. With a West Coast driven list, you’ll find 20 wines by the glass, a weekly wine flight, and small roster of craft beer, plus a retail fine wine shop and eats from poutine and au jus beef sliders to grilled octopus and ponzu brussels sprouts. Adding to the atmosphere is vinyl tunes and local art. Click here for directions. Other great options – Grab a beer and watch a game at Pennison’s Sports Pub, Bar Louie, or Frank ‘N’steins Bar & Grill; and get a taste of New Orleans at The Rouxpour and pints and pub grub at Baker Street. 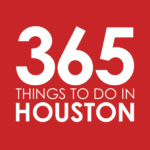 Brooke Viggiano is a food and lifestyle writer residing in Houston. When she's not contributing to publications like 365 Things to Do in Houston, Thrillist Houston and the Houston Press, she's on the hunt for the coolest happenings in the city. You can follow her musings on Twitter @BrookeViggiano .